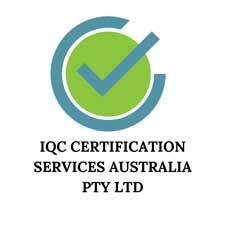 The New standard ISO 9001:2015 has Quality Professionals divided all over the world into two camps one who believe that the new quality standard ISO 9001:2015 dilutes the effect on Quality which the old standard ISO 9001:2008 had. Its lack on emphasis on documentation has auditors worried as to how to ensure that the Organization meets the Customer requirements while auditing. Clients have also started using the new standard as an excuse to get rid of all their procedures and documentation as unnecessary. I personally feel that both the standards have its strengths and weaknesses. The most important Clause in the New Standard. It forces the Organization to look at all its facets of the business and to identify the risks and opportunities, this clause of the standard has saved an Organization who I audit, to identify that they were underinsured in events of natural calamities, another Organization found out about loopholes in their business continuity planning. I.T risks to the businesses due to Virus attacks are another area which was neglected by many Organizations. Succession Planning, this is another area of the business which was neglected by many small businesses. This is a very important clause as the Top Management is forced to get involved in the Quality Management Process, it is their vision and direction that is being followed by the organization, the auditors now audit the top management, previously this was not required as the Management Representative who is generally the Quality Manager was audited. The previous standard allowed the Top Management of some Organizations to be disengaged from the Quality System and treat it as a necessary evil by appointing Quality Managers. This clause highlights the Key Knowledge which is required by the Organization to run effectively forces the Organization to ensure that these skills are widely available and not dependent on one person. The above three clauses according to me are the most Important Clauses of ISO 9001:2015 and are the major strengths of this standard.